Emma, one of our trusted Veterinary Nurses, tells us her tops tips when buying a hamster. female only pairs or small groups as males can still fight. NEVER mix breeds! cause serious problems if they eat it. Their cage will need to be cleaned out once a week. give a very small piece to help ensure food isn’t left to rot in their cage. shape. They also appreciate a toilet roll tube, or two! 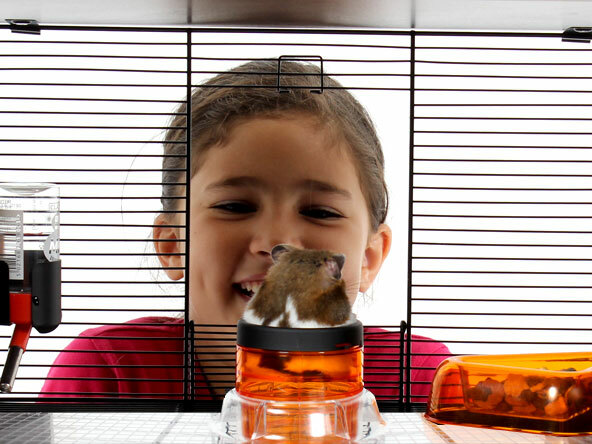 What should I look for when buying a hamster? pregnant hamster or two males that will fight. How do I tell if my hamster is poorly? settle in to their new environment. My hamster has dark patches on its side – what’s wrong? like dark patches and are completely normal. them out of their cage for some exercise.